David Gordon is an award-winning composer, pianist, multi-instrumentalist and co-founder of Sequoia Records, which he has molded into a world-class record label since its inception 25 years ago along with his brother Steve. The Gordon Brothers out of the box originality in being the first to compose music for natural environments and to combine ancient world instruments with modern electronica that has made them the acclaimed artists they are today, having grossed over 1.
million units in sales worldwide. A recent N.A.R. survey listed the Gordon Brothers as being in the top 5 most popular artists as reported by alternative retailers, along with artists such as Enya and Loreena McKennitt, and many of their albums have charted in Billboard. He has released 21 albums with his brother Steve including the Billboard charting COVR Best World album and Record of the Year, ?Drum Medicine? and the influential bestseller ?Sacred Earth Drums.? David is working on his first solo release that will be out in 2010. It will feature his jazz flavored chill out electronica songs which can also be heard on the Buddha Lounge Series, Hotel Tara series, Cafe de Luna 2 and Tropical Chill. 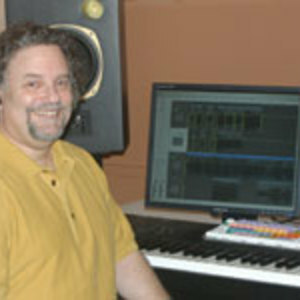 He also has recorded some solo piano songs on the Celtic Lounge series. His first solo piano release will also be coming out soon. David's main instrument is piano and keyboards which he enjoys playing in styles ranging from Jazz to classical to Celtic and Electronica and he also plays world drums, percussion and native flutes.